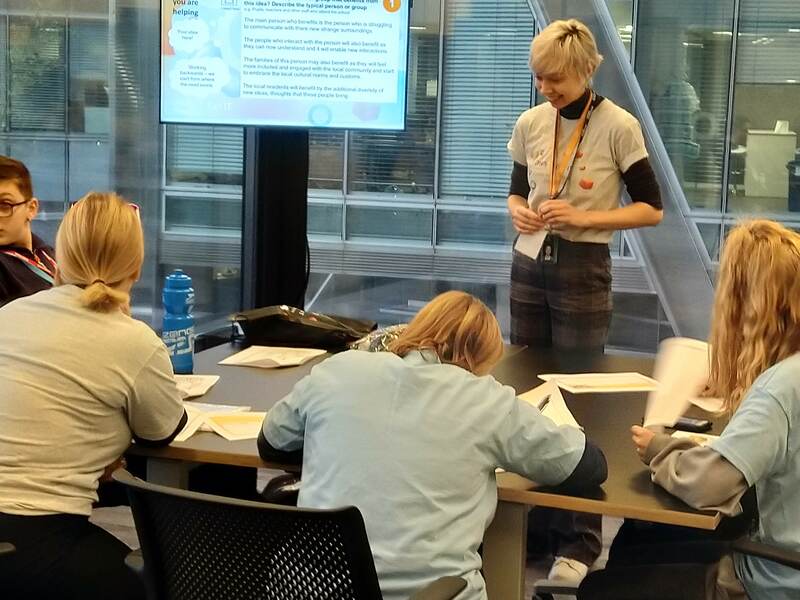 AWS Get IT is a fully funded programme that we are delivering in partnership with Amazon Web Services. It is now in its second year. 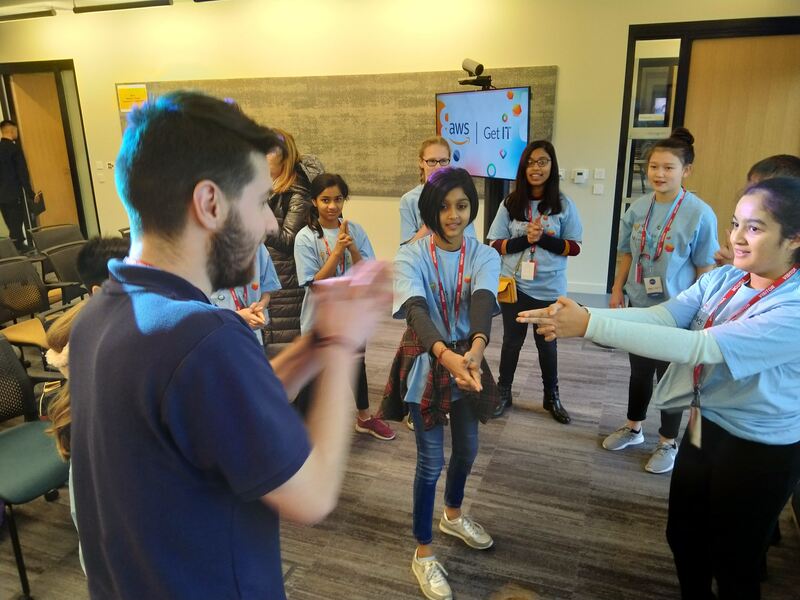 Get IT aims to encourage young people to consider a career in tech, but also challenge the gender stereotype within this industry. 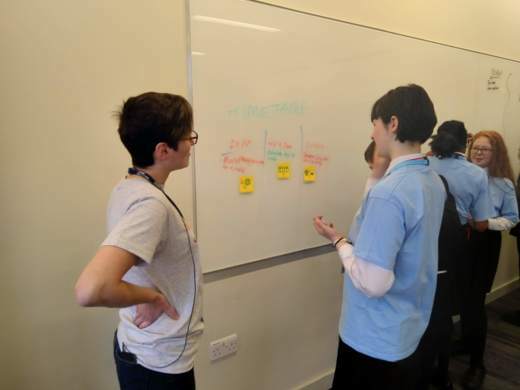 The programme sees groups of students designing and creating an ‘app for good’ which makes real, tangible social change within their school and community. We’re excited to see what they come up with! To build practical digital skills and relevant work experience. To learn more about technology as a possible career option from industry experts. To feel empowered to break down gender stereotypes. 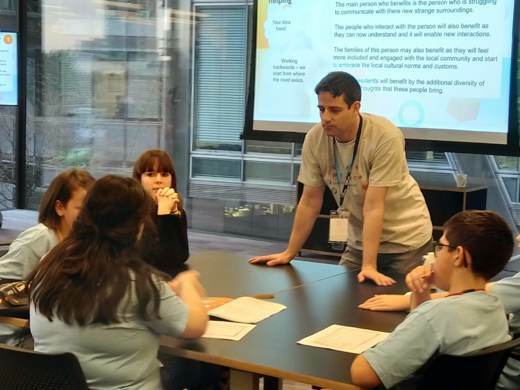 To consider a career in IT and app making. 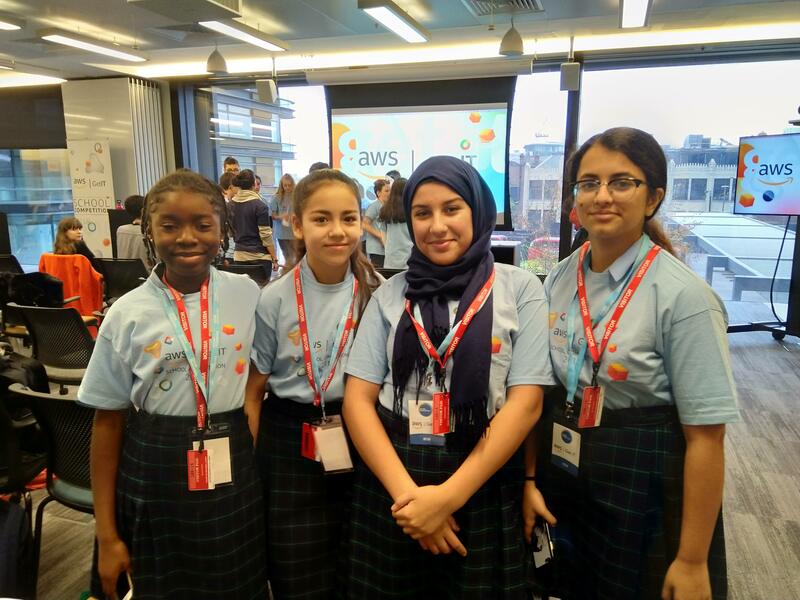 Amazon Web Services currently have a number of initiatives – such as AWS re:Start – that aim to fill the digital skills gap in the UK and to improve communication and education around diversity. AWS Get IT is unique in the sense that in addition to this main objective, it aims to have a positive impact on the growth and development of their women, and encourages them to be more confident and more visible leaders. The AWS Get IT Programme starts with an in school assembly to launch the programme and inspire the students. 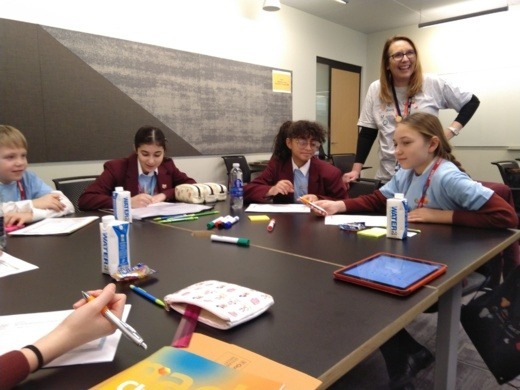 The talk will focus on the wealth of opportunities that exist for women working in IT, inspire students to gain confidence and skills needed for the workplace, and look beyond gender stereotypes to consider a career in technology. Following the presentation, students will be challenged to enter an inter-school app-building competition focused on solving issues local to their school and community. Participating teams of students will then be invited to attend the Get IT Bootcamp and finally submit their idea for an ‘app for good’. 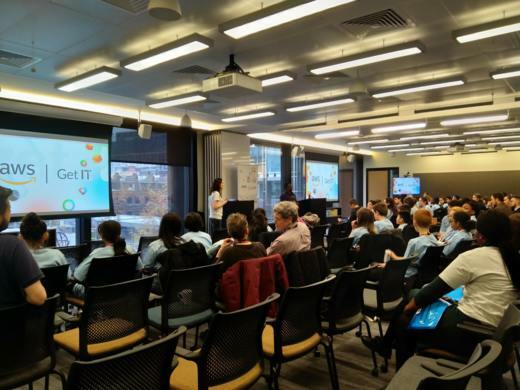 Students will be inspired and supported in their projects by female AWS ambassadors and selected teams will be invited to present them at the Get IT London Summit. 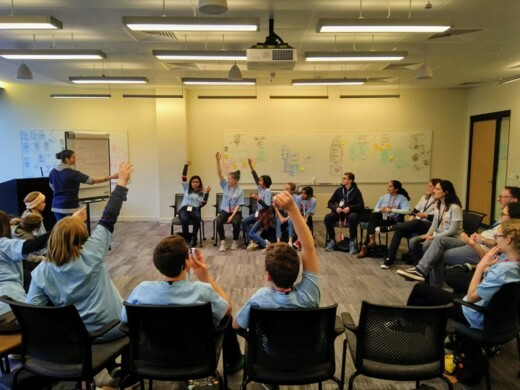 I along with my colleagues from Amazon Web Services want to visit your school, meet your students and inspire and educate them about their future career pathways. 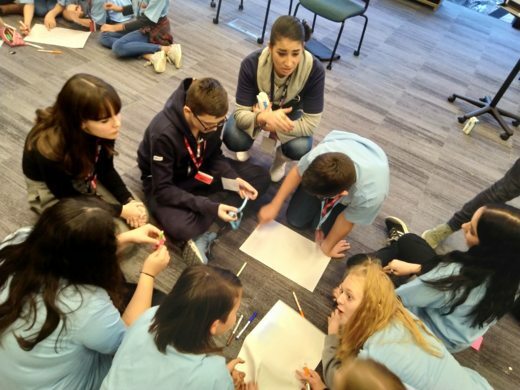 We are passionate about filling the digital skills gap in the UK and improving communication and education around diversity within the technology industry.